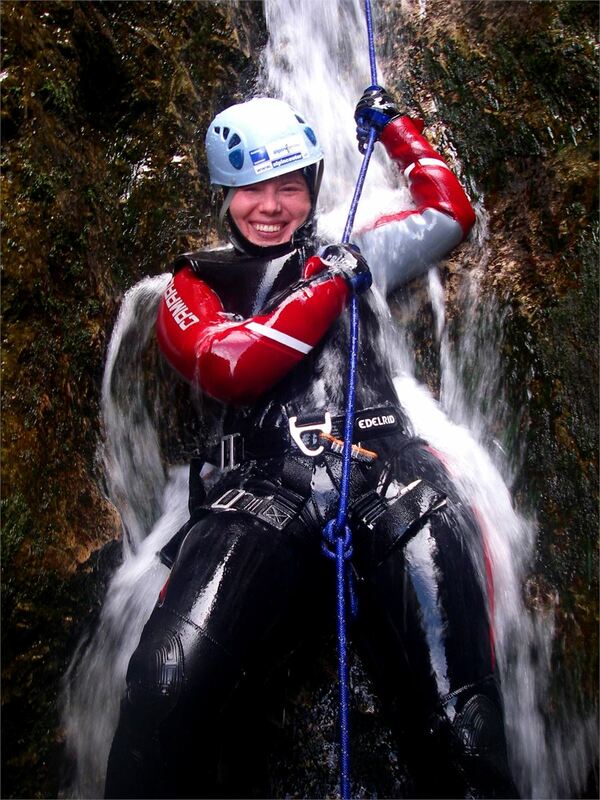 Canyoning is more than a water sport. It is fun, adventure and nature, it is exciting, crazy and mysterious. It is something special. 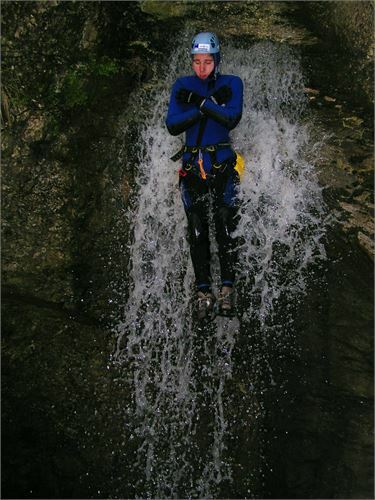 You swimm, jump, glide and rope down over impressive waterfalls. The water made its way which we follow. A way which no one will forget. 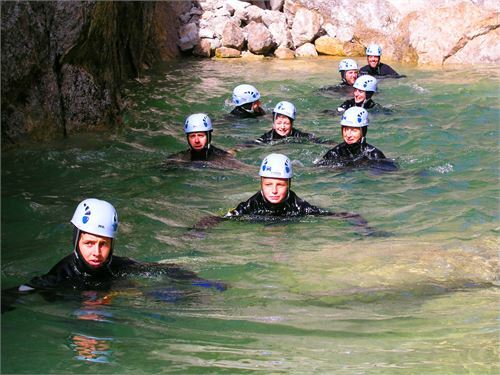 The tours are divided in different difficulty degrees, from C1 to C3. Requirement for paricipating is to be sure-footed in a trackless terrain and to have good swimming knowledges. € 58.- nur für Gruppen von mind. 10 Pers. Description:A sportive tour in a deep and over 3 km long canyon with a lot of jumps up to 12 meters and a roping down spot. One of the most beautiful tours. Description: An extraordinary canyon. 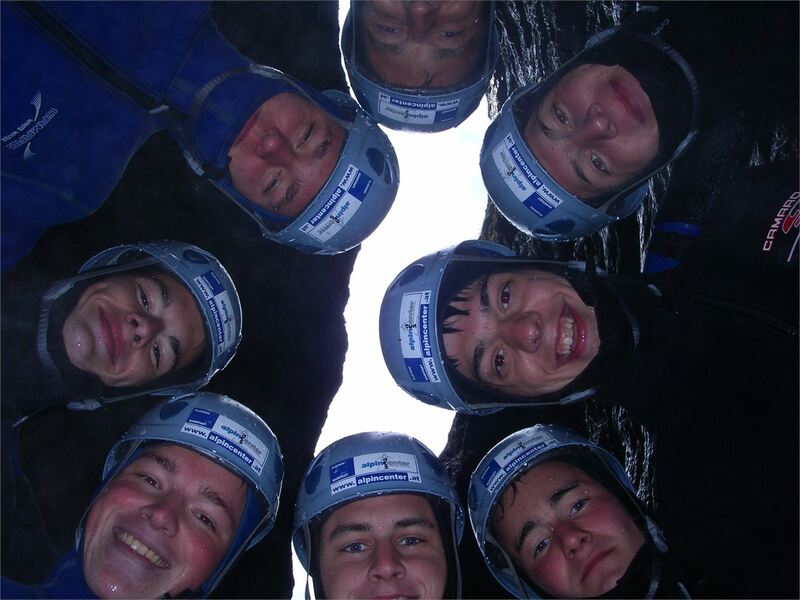 Abseiling over powerfull waterfalls. 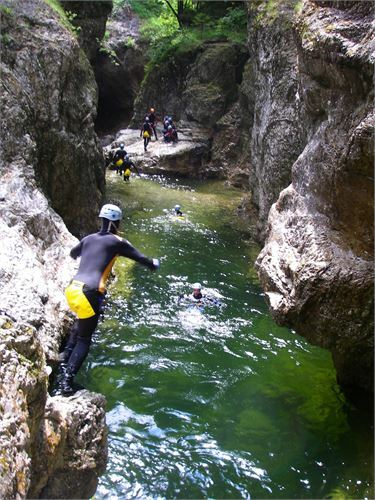 Gliding and jumping up to 14 meters in a very deep canyon. Difficulty C4. Treffpunkt direkt beim Einstieg – Wiestallandesstraße bei der Staumauer vom Wiestalstausee!